Check us out on Facebook at NESCA (Neuropsychology & Education Services for Children & Adolescents)! It is a great way to find out about upcoming events, new services, and interesting articles! NESCA invites you to join us, as we introduce our new therapeutic services! What modalities do we use - and why? Event details can also be found on the Facebook event! Check it out! 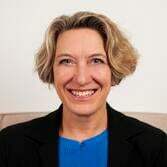 Nancy Roosa, Psy.D. has provided neuropsychological evaluations for children since 1997. She enjoys working with a range of children, particularly those with autism spectrum disorders, as well as children with attentional issues, executive function deficits, anxiety disorders, learning disabilities, or other social, emotional or behavioral problems. 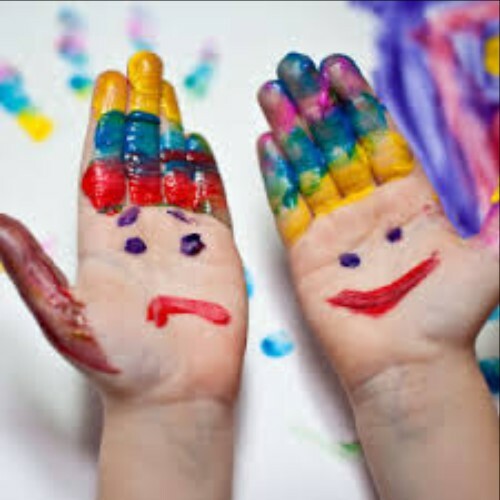 Dr. Roosa's evaluations are highly-individualized and comprehensive, integrating data obtained from a wide range of standardized assessment tools with information gained from history, input from parents, teachers and providers, and important observations gleaned from interacting with the child. Her approach to testing is playful and supportive. Dr. Roosa has also consulted with several area schools, either about individual children or about programmatic concerns. She speaks to parent or school groups, upon request. Massachusetts Distinguished Educator Michael Delman founded Beyond BookSmart, previously Thinking Outside the Classroom, in 2006 and serves as its CEO. In addition to being a highly sought after speaker and Executive Function coach, he also helps the leaders of his team achieve greater levels of efficacy. Michael is also the co-founder of the McAuliffe Regional Charter Public School in Framingham, MA, a middle school teaching over 350 students through the Expeditionary Learning Outward Bound school model. He served as McAuliffe’s founding principal and has been an active member of its Board of Trustees since 2008. Prior to that, Michael taught in the Southborough Public Schools for eight years, during which time he received the Anti-Defamation League’s Teacher Incentive Award for creating a superior learning environment for his students. As an educator since 1982, Michael’s primary mission has always been to make learning relevant and to help young people find capacities in themselves that they don’t know they have. You're at a cafeteria, you've got your lunch ... and then you just don't know where to sit. 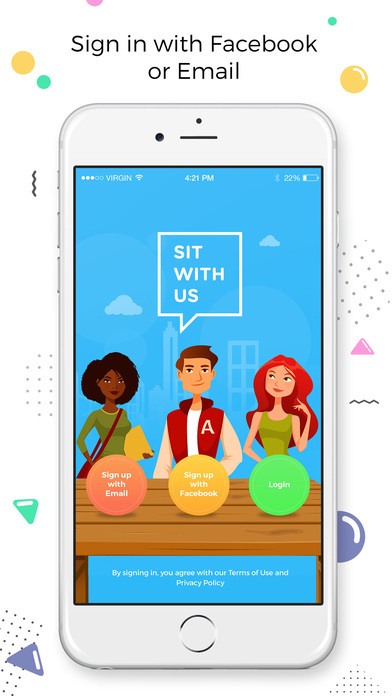 You don't want to sit alone, but you also don't know who would be friendly and let you sit with them. Sixteen-year-old Natalie Hampton has been there. 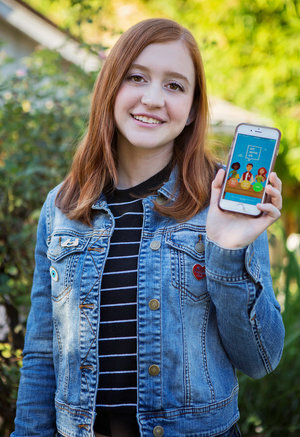 She's an 11th-grader from Sherman Oaks, Calif., and the creator of a new app called Sit With Us. Download this free app HERE and start using it today! Free Presentation Tomorrow at NESCA : "Let's Make Sense of the Neuropsychological Evaluation"
Learn more about this initiative at this upcoming Complimentary Transition Training on Dual Enrollment! Glenn Gabbard, EdD. Coordinator, Inclusive Concurrent Enrollment Program (ICE) will focus his presentation on the Massachusetts Inclusive Concurrent Enrollment Initiative: how it works; who it is designed to serve; and how families can get more information about individual partnerships. We'll also discuss the difference between this program and the typical services and supports for students available at colleges and universities as well as the difference between MAICEI and dual enrollment programs within the Commonwealth. Parents of Transition Aged Teens/Young Adults, Educators, Transition Specialists, Special Education Directors, Consultants, and related industry professionals. 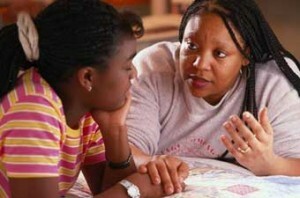 WHY: Learn what the MAICEI is all about and how you can assist the teens and young adults in your life! Most kids with NLD have trouble reading emotion in facial cues and body language, so they often don’t know what’s going on in social interactions. They miss the social patterns that other kids pick up automatically, so they don’t know what’s appropriate behavior in a given situation. Many kids with NLD can do well enough in elementary school because they are very good at memorization and rote learning. It’s common for them to run into trouble around middle school, when their difficulty with the higher order reasoning—figuring out the main idea, the details, and the relationships—causes them to fall behind. “There’s a saying that in fifth grade you stop learning to read, and now you read to learn,” notes Bezsylko, “and that’s when these kids fall apart.” Historically, Winston Prep took kids in sixth through tenth grade; they’ve started to take some kids as young as fourth grade. NLD is not one of the official diagnoses mental health professionals and schools use to categorize kids with psychiatric or learning probems. Kids who have it usually have other diagnoses—often autism or ADHD. But while those diagnoses list their symptoms or behaviors, they don’t fully explain them, argues Bezsylko. Children aged eight and under have been targeted in the move. Finland is known for producing some of the most physically fit children in Europe. It also produces some of the highest academic results among schoolchildren in the developed world. Finland's Minister for Education and Culture, Sanni Grahn-Laasonen, believes this is no coincidence. Ms Grahn-Laasonen said physical activity contributed to a child's happiness and promoted learning by developing a young person's ability to interact socially. "When children exercise together they develop interaction skills and connect socially, and it's healthy, too," she told local media. How will it affect the school curriculum? The minister's recommendation has been embraced by those who set the educational agenda, with the move expected to have a positive impact on results. Anneli Rautiainen, head of basic education with the Finnish National Board of Education, told the BBC that schools would now be experimenting with new ways of teaching. "In our new curriculum, we are looking at two to three hours a week of physical education and more outdoor activities. But we are also looking at non-traditional ways of teaching," she said. These include removing desks and chairs from some classrooms, so that children are not sitting as much while learning regular subjects. "Some children learn very well sitting at a desk and listening, others would benefit greatly from moving around the room talking with their classmates," said Ms Rautiainen. "The child has an active role. We will emphasise personalised learning. The learning environment should be modern and support different learners." 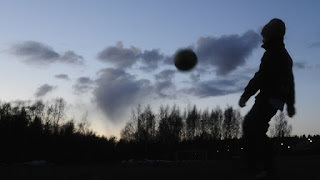 Finland is one of the first countries to put forward these recommendations, which will use classrooms to connect physical exercise with traditional learning. 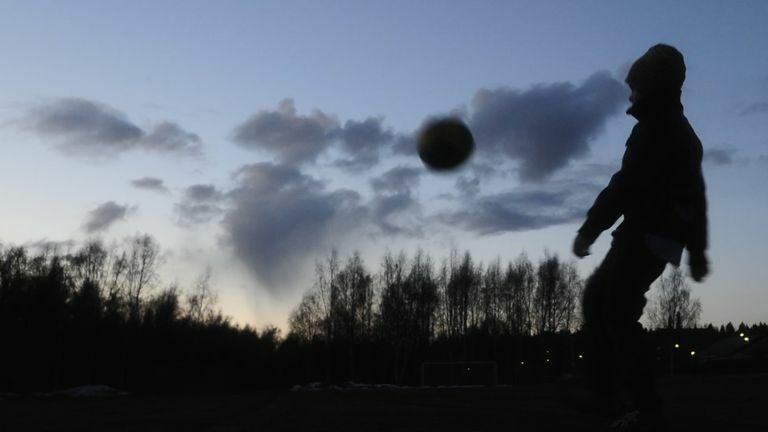 A report published last month by the child and family services change programme revealed that young people in Finland were in favour of more physical activity in schools. The idea was widely supported among those questioned, who suggested using the school gym during breaks and increasing out-of-hours school club activities. What is the current recommendation? Guidelines issued by the World Health Organisation (WHO) suggest that children and young teenagers aged between 5 and 17 should perform at least an hour of moderate physical exercise a day. But the public health body goes on to say that more than an hour will provide additional health benefits, including later in life. Why are Finnish children so fit? Finland's obsession with health dates back to the 1970s, when it had the highest rate of deaths from heart-related issues in the world. This was largely due to a thriving dairy sector, which played a large part in the Finnish diet. In an effort to tackle the issue from a young age, schoolchildren were weighed on an annual basis and the results were recorded in end-of-year reports. If there was a problem, a doctor was called in. 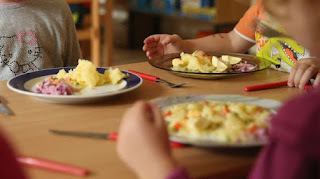 Schools in Finland are required to provide nutritional meals for young children. This led to the Finnish National Nutrition Council, a government body that issues dietary guidelines, eventually introducing a directive that schools should not only provide free lunches, but that the food should be nutritional. Why is more exercise needed? According to the WHO, Finland's population is still among the healthiest, but economic, social and cultural developments through globalisation are having a detrimental impact. As in many countries, health inequalities are on the rise in Finland. Is Finland ahead of the game? Finland introduced child health clinics way back in the 1940s, a pioneering move that was later introduced in other nations. The primary focus at the time was on physical development and nutrition, early identification of abnormal conditions or disease and immunisation. With this latest focus on physical activity among schoolchildren, Finland remains a leading nation when it comes to the health of its young citizens. 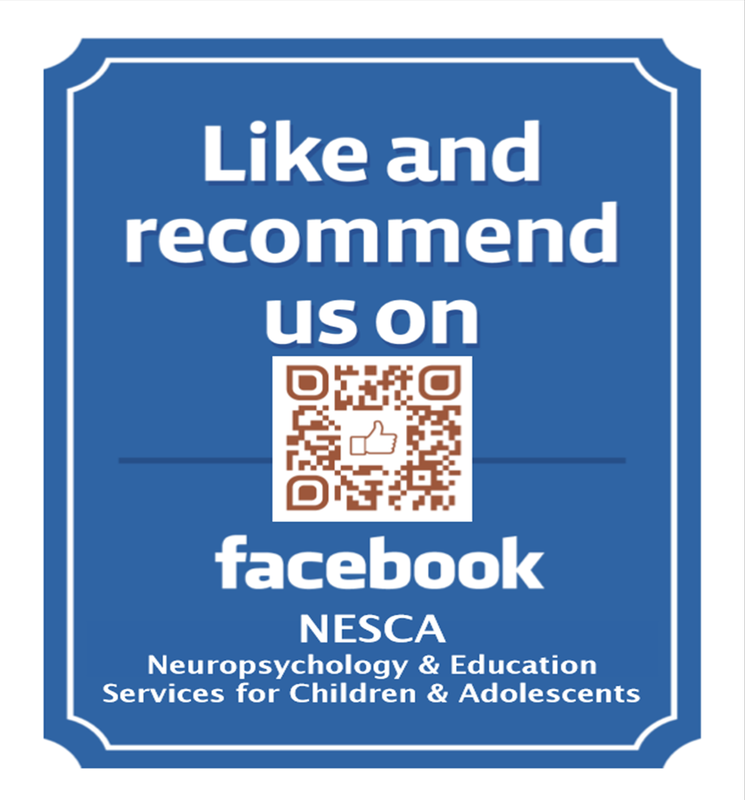 Free Presentation at NESCA: "Let's Make Sense of the Neuropsychological Evaluation"
The importance of preparing for college AND employment cannot be understated. I step up to the counter at Willy's Cafe at Willamette High School in Eugene, Ore., and order a latte. There's a powerful scent of fresh coffee in the air, and a group of juniors and seniors hover over a large espresso machine. Carrie Gilbert, 17, shows how it's done: "You're going to want to steam the milk first," she explains. "Then once you have the coffee, dump it in and use the rest of the milk to fill the cup." She hands over my order. Not bad. Gilbert, who helps manage the cafe and train other students, doesn't think so. "Just the overall experience with the cash register and all the different kinds of food preparation and working with money and all that stuff, it prepares you for all kinds of things." Training as a barista may not seem like a big deal, but Gilbert — and educators here and around the country — say she's learning those all-important "soft skills" that employers expect. Roughly seven out of 10 high school grads are headed to college every year — but that leaves hundreds of thousands who aren't. And survey after survey shows that employers are demanding — even of college-bound students — some level of job skills and professionalism: punctuality, customer service, managing people and teamwork. That's the message students at Willamette High hear just about every day over the PA system: You need job skills with real market value. The school's career and technical education program offers courses and training in all kinds of fields; culinary arts, health careers, robotics and welding. Students train as bank tellers with a local credit union, or learn food service and restaurants at Willy's Cafe. The school is affiliated with DECA (Distributive Education Clubs of America) program, which focuses on merchandizing, retail sales, marketing and entrepeneurship. The nearly 70-year-old program once seemed a relic of the "vocational education" era — a time when a much larger percentage of high school graduates went right into the workforce. But today, DECA is all about giving kids a taste of the real world and getting your foot in the door, says Dawn Delorfis, an assistant principal at Willamette High. DECA teachers and administrators don't discourage students from going to college, she says, but they do try to let every student know that, with the right skills and training, there are good entry-level jobs for them out there. Many of those jobs, "provide a good living for someone coming out of high school," Delorfis adds. "But the thing I think does still exist is the stigma attached: 'Oh, you're not going to college?' 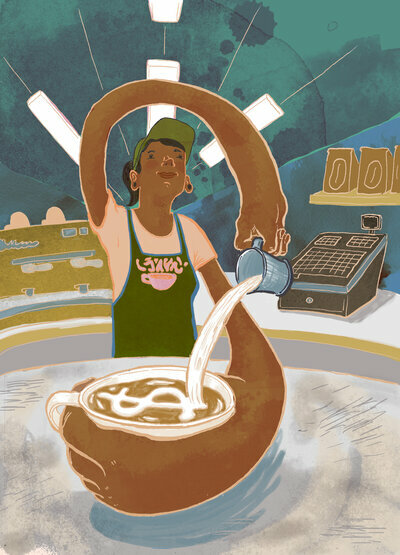 "
Luis Sanchez, 18, says college and Starbucks are definitely not for him. But he likes the training at Willy's because it's like running a small business: "My parents own a restaurant, and I want to help run it." Which brings me back to parents, and that pressure of college as the only option. What happens when your kid comes home from school one day and says she's training as a barista? "If it were my kid, I wouldn't let it happen," says Anthony Carnevale. He's the head of the Center on Education and the Workforce at Georgetown University. "You don't tell middle-class Americans, 'I'm going to send your kid to trade school.' "
Carnevale and others acknowledge that even good programs like DECA, and career and technical education programs in general, are often viewed as second-rate — a pipeline to low-wage, dead-end jobs. "These are not dead-end jobs," says John Fistolera, with DECA's corporate office. Fistolera says DECA teaches specific skills that business and industry require for employees to be successful. That's been DECA's mission since the mid-1940s, thanks to its partnerships with local employers and some of the nation's biggest businesses. It's a message that has broad and growing support, even from the White House. "You can make a really good living and have a great career without getting a four year college education as long as you get the skills and the training that you need," President Obama said in 2014. But what high school students usually hear is another message the president touts just as often: "College for all." Carnevale says that's a message that kids and parents need to take with a grain of salt. "Every year more than 400,000 young people in the top half of their high school class go to college, and at least eight years later, they have not gained either a two- or four-year degree or a certificate," he notes. So, he adds, at some point those people need job skills and a path into the workforce. Carnevale warns that the high school curriculum has moved to higher and higher levels of abstraction, away from practical and applied learning. At Willamette High, though, the message to students is simple: Prepare for both work and college. It kind of makes sense, says 18-year-old Kareena Montalvo. The DECA course she fell in love with is graphic design. "I can't tell you how many posters we've done for upcoming plays, musicals," she says. "It lets me understand how artists need to meet clients' needs." Montalvo says she's already getting paid for several projects in the community. She sees herself as an entrepeneur and, down the road, a college student. "I want to get my major in graphic design and a minor in marketing." But right now, says Kareena, the idea of going into debt at such a young age to pay for college is crazy. So, she says, it's great having marketable skills and pretty good job prospects right out of high school. If you are curious about what’s going on in your teen’s life, asking direct questions might not be as effective as simply sitting back and listening. Kids are more likely to be open with their parents if they don’t feel pressured to share information. Remember even an offhand comment about something that happened during the day is her way of reaching out, and you’re likely to hear more if you stay open and interested — but not prying. Teens want to be taken seriously, especially by their parents. Look for ways to show that you trust your teen. Asking him for a favor shows that you rely on him. Volunteering a privilege shows that you think he can handle it. Letting your kid know you have faith in him will boost his confidence and make him more likely to rise to the occasion. 4. Don’t be a dictator. You still get to set the rules, but be ready to explain them. While pushing the boundaries is natural for teenagers, hearing your thoughtful explanation about why parties on school nights aren’t allowed will make the rule seem more reasonable. Parents tend to praise children more when they are younger, but adolescents need the self-esteem boost just as much. Teenagers might act like they’re too cool to care about what their parents think, but the truth is they still want your approval. Also looking for opportunities to be positive and encouraging is good for the relationship, especially when it is feeling strained. It’s easy for your temper to flare when your teen is being rude, but don’t respond in kind. Remember that you’re the adult and he is less able to control his emotions or think logically when he’s upset. Count to ten or take some deep breaths before responding. If you’re both too upset to talk, hit pause until you’ve had a chance to calm down. Talking isn’t the only way to communicate, and during these years it’s great if you can spend time doing things you both enjoy, whether it’s cooking or hiking or going to the movies, without talking about anything personal. It’s important for kids to know that they can be in proximity to you, and share positive experiences, without having to worry that you will pop intrusive questions or call them on the carpet for something. Sitting down to eat a meal together as a family is another great way to stay close. Dinner conversations give every member of the family a chance to check in and talk casually about sports or television or politics. Kids who feel comfortable talking to parents about everyday things are likely to be more open when harder things come up, too. One rule: no phones allowed. 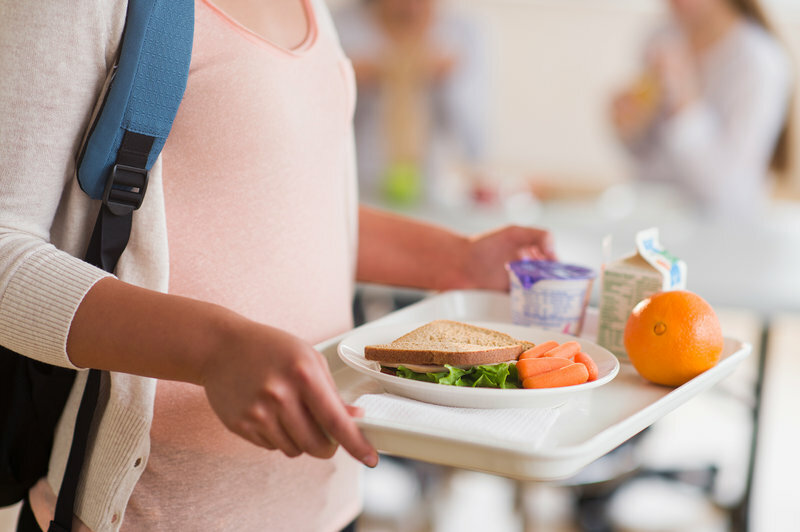 It’s normal for kids to go through some changes as they mature, but pay attention if you notice changes to her mood, behavior, energy level, or appetite. Likewise, take note if he stops wanting to do things that used to make him happy, or if you notice him isolating himself. If you see a change in your teen’s daily ability to function, ask her about it and be supportive (without being judgmental). She may need your help and it could be a sign she needs to talk to a mental health professional. Deborah Lynam, a founding member of Decoding Dyslexia, seen with her son Hudson, 11, at their home in Haddon Heights, N.J., has helped build the parent-driven advocacy group into a 50-state movement that presses its concerns nationally. Four years ago, during a train ride to a luncheon sponsored by the National Center for Learning Disabilities, a group of New Jersey parents found they shared the same frustrating story: Their children were struggling to learn to read. But they felt the schools' reading interventions—if such supports were even offered to their children—were unfocused efforts overseen by educators without specific training in how to address the problem. That informal connection among parents has since grown into an influential movement, Decoding Dyslexia. Harnessing the power of social media, the grassroots group now has a presence in all 50 states, as well as sympathetic ears among federal and state lawmakers and administrators in the U.S. Department of Education. This year alone, 20 states have passed or proposed dyslexia-related legislation. Decoding Dyslexia does not claim credit for all those state moves, Lynam said, but one of the organization's biggest priorities has been to mobilize parents in support of regulations that would define dyslexia in state law, require student screening for the reading disorder, and offer dyslexia-specific professional development for teachers. This year, Decoding Dyslexia members supported one of the leaders of a bipartisan congressional dyslexia caucus, then-Rep. Bill Cassidy of Louisiana, when he proposed a dyslexia-friendly amendment to the Elementary and Secondary Education Act. That amendment, which would have allowed schools to use federal teacher-training funds to support professional development on dyslexia, did not pass. But the proposed revisions to the bill rewriting the ESEA that passed the House of Representatives last week include a federally funded comprehensive literacy program that dyslexia advocates hope will advance further knowledge on early reading. In October, U.S. Secretary of Education Arne Duncan used one of the group's social-media hashtags—#saydyslexia—in a Twitter post promoting new dyslexia-related guidance. The "Dear Colleague" letter from the federal department said that individualized education programs, or IEPs, may use the term "dyslexia." Some school personnel have been reluctant to use the term, saying that dyslexia is a medical diagnosis, or that educators should focus on specific deficits and not a label. But many parent-advocates say that ignoring the term leads to misunderstanding about just what dyslexia is. And along the way, representatives of the group have shown up frequently on Capitol Hill and in the White House. Decoding Dyslexia members have been particularly active in Washington this year, as the federal government commemorates the 25th anniversary of the Americans with Disabilities Act and the 40th anniversary of the Individuals with Disabilities Education Act. It's not a bad showing for a movement that insists on having no leader and shuns most funding in order to maintain its image as an authentic parent voice. "What they share in common is a devotion and a concern for their children. That makes them very effective advocates," said Sally Shaywitz, the co-director of the Yale Center for Dyslexia and Creativity, which hosted the parent-advocates for a conference in 2013. "This isn't a peripheral issue, it's not a theoretical issue, it's a 'what makes their heart pound' issue," she said. 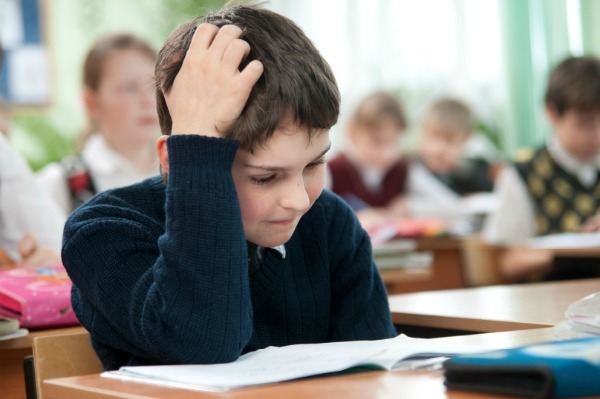 In federal law, dyslexia falls under the category of specific learning disabilities. More than 2 million of the 6.4 million children covered under the IDEA have a specific learning disability, and most of those children are believed to be dyslexic. Pinning down specific prevalence numbers is difficult, but estimates have are that 5 percent to 17 percent of the student population has dyslexia. But the disorder is often misunderstood. Dyslexia does not mean that students have poor vision or that they see letters reversed. Rather, dyslexia affects the way people process written and oral language—a common characteristic is difficulty connecting letters to the sounds that those letters represent. Children with dyslexia often become adept guessers, which happened with Lynam's youngest son, Hudson, now 11. The reading interventions that he was receiving included prompts, cues, and illustrations, but without those crutches, he was lost. What her son needed, and whatmany other children need, Lynam said, is research-based and systematic instruction in phonemic awareness (the understanding that words are made up of individual sounds), along with instruction in vocabulary and reading comprehension. But teachers seem to be missing that knowledge, dyslexia advocates say, even though the National Reading Panel, a committee of reading researchers commissioned by Congress, recommended that comprehensive approach in its landmark 2000 report. Deborah Lynam, a founding member of Decoding Dyslexia NJ, watches her son Hudson, 11, shoot a bow and arrow at their home in Haddon Heights, N.J. The grassroots organization is now active in all 50 states. Robbi Cooper, a parent in Austin, Texas, who is active with the Decoding Dyslexia organization in that state, notes that Texas has had dyslexia laws that mandate screening and appropriate instruction on the books for decades. But many students in the state are still not receiving the appropriate academic support they need, Cooper said. A recent change in state law now requires districts to report on the percentage of children with dyslexia that they serve. Not getting appropriate services goes well beyond literacy, Cooper said. "Kids are ending up being labeled as [having] behavior problems, every kind of label you can imagine [except] the term dyslexia. It's a lot easier to put a behavior program in place for a kid and just call it a day," she said. That's why it's important to clearly identify students who have the disorder, she said. "We're talking about kids who don't have any other way of being identified except in the schools," Cooper said. "We don't have a greater need [than other children with disabilities]. We have a greater need for teachers to understand how to identify our kids." Iowa, the only state in the country that does not sort students into disability categories, passed legislation in 2014 that defined dyslexia as an educational diagnosis and requires the state to create teacher professional development that focuses on evidence-based literary programs. Randy Califf, a parent in West Des Moines, was one of the Decoing Dyslexia parents who worked on that effort. When his son was first evaluated for his reading struggles, the family was told he had a "language-related learning disorder." Learning he had dyslexia—and that dyslexia could be treated with appropriate interventions—was empowering for his son, he said. "It's important for our kids to know there is a specific path for them," Califf said. As Decoding Dyslexia has grown more active, its efforts have seen pushback from educational groups and from some disability advocacy organizations. Cassidy's proposed amendment to the federal education law, for example, was opposed by the National Down Syndrome Society, the National PTA, and the National Education Association, among others. "I think it gives the impression, whether it's intended or not, that students with certain types of learning disabilities have more pressing needs than other students with disabilities," Barbara R. Trader, the executive director of TASH, said earlier this year when the ESEA revision was first under debate. TASH, formerly known as The Association for the Severely Handicapped, is a Washington-based support and advocacy group for people with intellectual disabilities. In California, an advocacy effort to add dyslexia regulations to state law was ultimately successful, but it was opposed by the California Teachers Association, the California School Boards Association, and the Special Education Local Plan Area (SELPA) Administrators of California, which represents regional agencies that oversee special education in the state. The groups opposed the bill because of concerns that mass screening would be costly and lead to overidentification of dyslexia. The bill's advocates seized on the fact that in a letter of opposition, SELPA officials said that letter reversals—writing "b" for "d," for example—are common in young children and that many children outgrow them. But letter reversals are not a symptom of dyslexia, and advocates said the assertion from the California group was proof that more teacher training is needed. The pushback from other groups surprised some Decoding Dyslexia members—and has them recalibrating their message. Said Cooper: "I think it's a learning experience for our group. Not in a way that changes how I view our mission at all, but one that makes me want to make sure people are aware of what we're asking for and why." OCTOBER 2011: Eight New Jersey parents of children with dyslexia meet on a trip to New York to visit the National Center for Learning Disabilities. NOVEMBER 2011: The first Decoding Dyslexia-New Jersey meeting is held. JUNE 2012: Decoding Dyslexia holds its first “Hill Day,” visiting lawmakers in Washington. DECEMBER 2012: New Jersey dyslexia bills are posted. MAY 2013: Yale Center for Dyslexia & Creativity hosts a conference in New York City for leaders from 23 state movements. 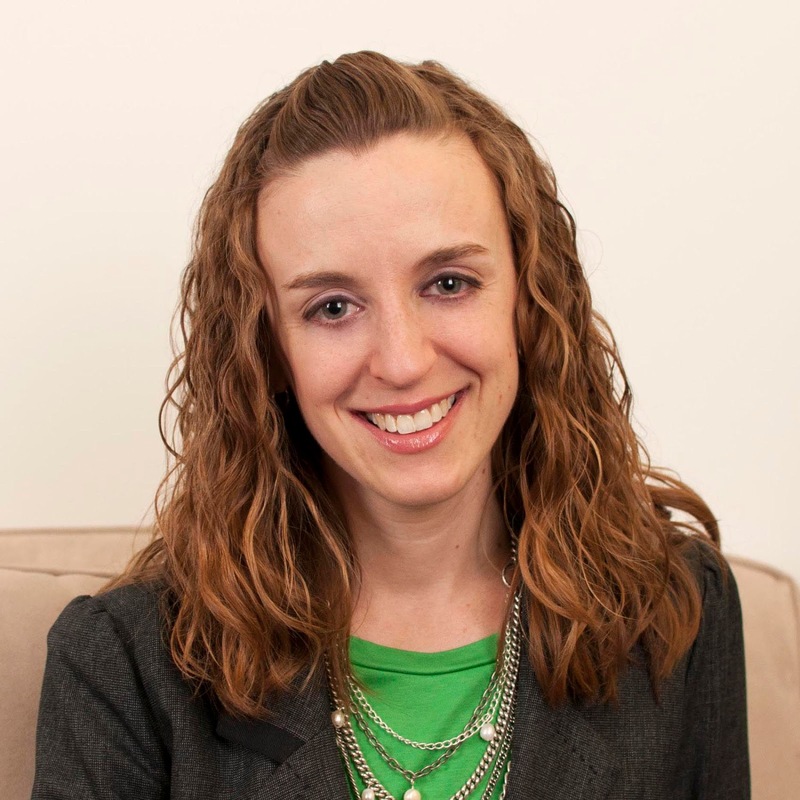 MARCH 2014: The Emily Tremaine Foundation provides $45,000 to support the DD Social Media Conference in Princeton NJ with leaders from over 40 state movements. JUNE 2014: The movement launches in Canada. Decoding Dyslexia now has a presence in four provinces. DECEMBER 2014: Decoding Dyslexia-New Mexico becomes the 50th state organization to join the movement. MARCH 2015: Decoding Dyslexia hosts a playground exhibit and panel discussion at SXSWedu in Austin, Texas. JULY 2015: The fourth “Hill Day” features more than 150 in attendance from more than 20 states.